These days, first responders such as law enforcement can carry up to 30 pounds of communication, safety and defensive equipment. The increased demand for body worn video requires an additional physical component to be added to the already overburdened end user. How can we achieve the safety and productivity of body worn video without compounding the problem? The Si500 Video Speaker microphone system combines video and audio recording capability with the functionality of a wearable speaker microphone. 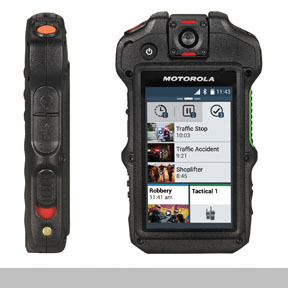 This solution addresses the growing demand for body worn video to increase first responder safety and evidence accountability.